The 2018 Ram 2500 and 2019 Ford F-250 are two of the most popular heavy-duty trucks, offering competitive strength. 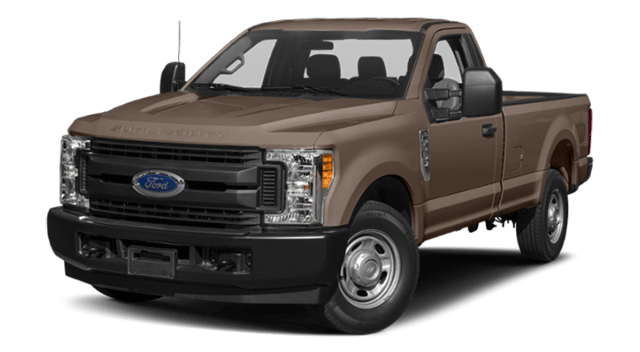 So, what can you expect from the Ford F-250 and Ram 2500 trim levels as far as power and capability? We’ve crunched the numbers and reviewed the specs to make Boise drivers’ shopping experience easier. Compare the new Ram 2500 vs Ford F-250 side by side below! Heavy duty trucks like the 2019 Ford F-250 and 2018 Ram 2500 offer powerful engines, but what about transmissions? 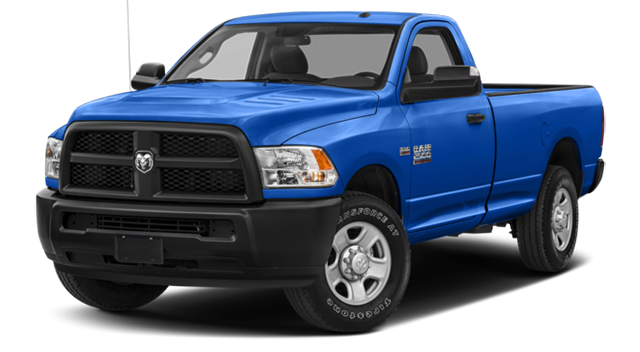 Again, the Ram 2500 offers more options for Nampa and Meridian drivers. The Ford F-250 can be had with a Torqshift® Heavy-Duty 6-speed Selectshift® automatic. The Ram 2500, on the other hand, offers a choice between a Class-Exclusive 6-speed manual or automatic. When it comes to payload capacity, the 2018 Ram 2500 hauls 3,990 pounds vs. 4,315 pounds with the 2019 Ford F-250. 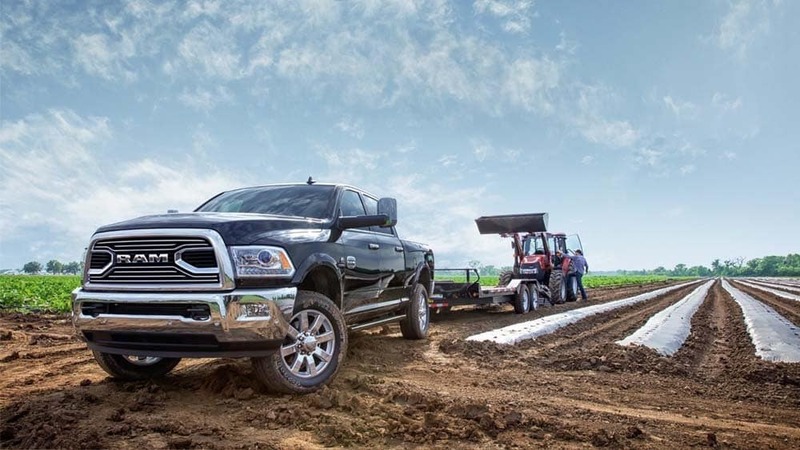 The Ram 2500 gains the upper hand as far as towing. Properly equipped, the Ram 2500 can tow up to 17,980 pounds with the Cummins® Turbo Diesel I6 engine. The Ford F-250 tows 12,300 to 13,300 pounds. Even if you stick with the 2500’s base engine, you can tow up to 13,890 pounds. 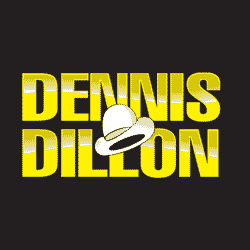 Test Drive the 2018 Ram 2500 at Dennis Dillon Chrysler Dodge Jeep Ram in Caldwell! In this Ford vs Ram truck comparison, the Ram 2500 stands apart with a much higher maximum towing capacity and more powertrain options. Browse your options in our new Ram 2500 inventory, and save and compare all your cars on any device! 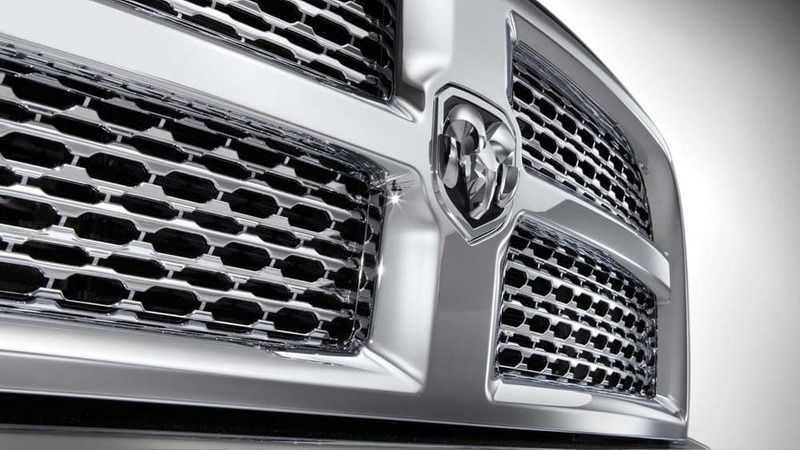 Looking for a smaller light-duty truck? Compare the Ram 1500 vs. Ram 2500! Then, contact us to schedule a test drive near Twin Falls and Mountain Home.